Definition at line 37 of file dialog.h. Definition at line 44 of file dialog.cpp. Definition at line 49 of file dialog.cpp. 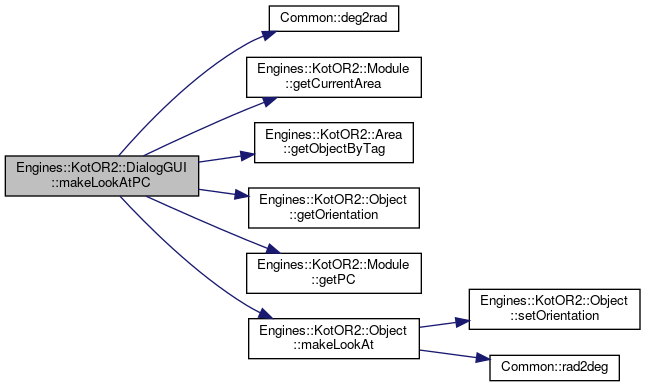 References _module, Common::deg2rad(), Engines::KotOR2::Module::getCurrentArea(), Engines::KotOR2::Area::getObjectByTag(), Engines::KotOR2::Object::getOrientation(), Engines::KotOR2::Module::getPC(), Engines::KotOR2::Object::makeLookAt(), and SatelliteCam. Definition at line 66 of file dialog.cpp. References _module, Engines::KotOR2::Module::getCurrentArea(), Engines::KotOR2::Area::getObjectByTag(), Engines::KotOR2::Creature::playDefaultAnimation(), Engines::KotOR2::Creature::playDefaultHeadAnimation(), and Engines::KotOR2::ObjectContainer::toCreature(). 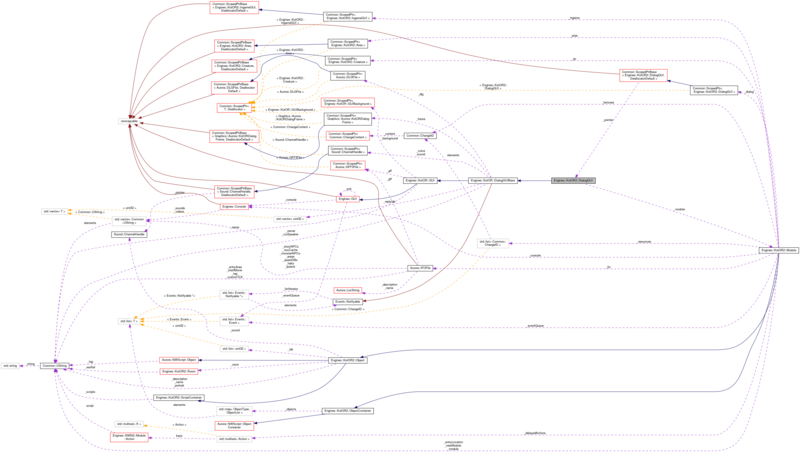 Definition at line 79 of file dialog.cpp. 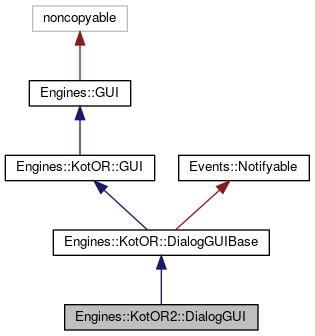 References _module, Engines::KotOR2::Module::getCurrentArea(), Engines::KotOR2::Area::getObjectByTag(), Engines::KotOR2::Creature::playAnimation(), Engines::KotOR2::Creature::playHeadAnimation(), and Engines::KotOR2::ObjectContainer::toCreature(). Definition at line 45 of file dialog.h. Referenced by makeLookAtPC(), playDefaultAnimations(), and playTalkAnimations().